Run up the hill, then down the hill. Up the hill, down the hill. Breathe! Finish and cool down by running a bit further. Tuesday morning group training and the form of punishment being inflicted has been varied, just to keep the regime interesting. Around 30 dedicated athletes gather in the cool-ish pre-dawn prepared to undertake whatever instructions they are given by the Guru. Today, it is a set of running up and down a hill six times (three up, three down). 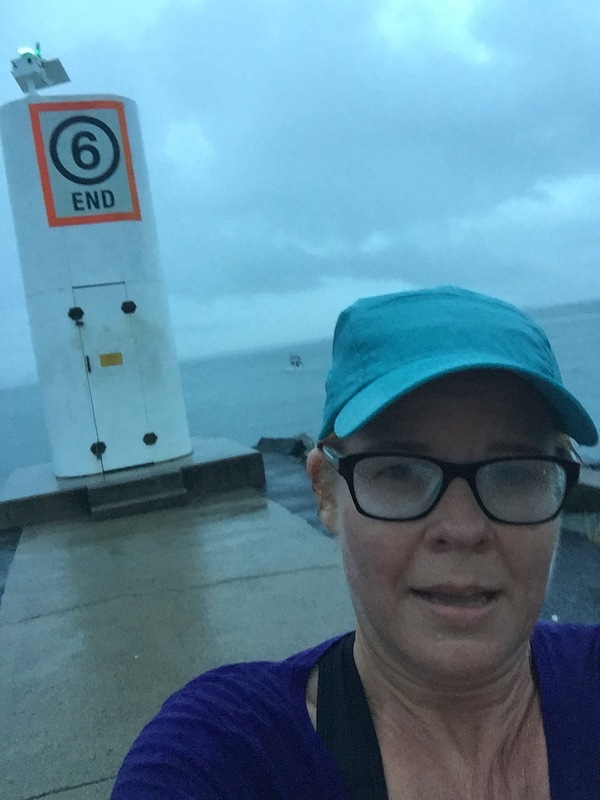 Total of about 9kms for the morning. Already I know a few fellow runners joining in the activity, and some new faces are starting to get familiar. Conversation revolves around predictable running-related topics: Blisters. Sore muscles. Physio appointments. Breathing technique. What’s the next event you’re running in? Is it worth it when the alarm goes off in the cold and dark? Getting out and pushing hard? 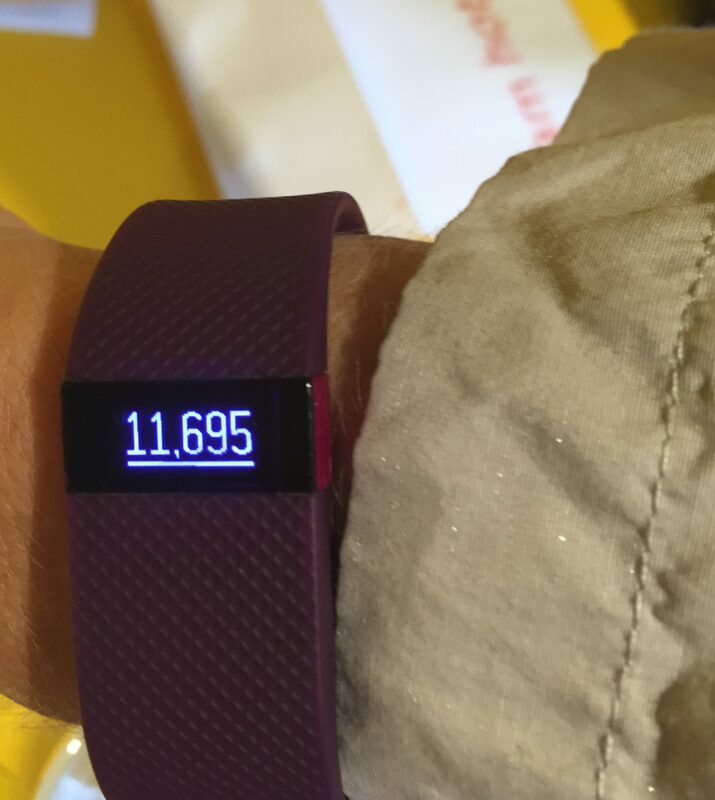 Certainly I get satisfaction out of reaching the recommended 10,000 daily steps before even starting work. And if there happens to be some cake around at morning tea time, I don’t mind indulging, with a clean conscience! Like many athletes, especially runners, I have devices and apps to tell me about my performance. Time. Distance. Maps. Heart rate. For the first time today, I used a new app (new to me) that all the cool kids are talking about…Strava. In addition to all the features listed above, it links up with anyone else using the app in the same place at the same time. Whether I’m ‘friends’ with them or not, their details come up on my screen any mine on theirs. In some ways it’s cool, yet in others I find it a little disturbing in terms of privacy. I guess the old saying ‘if you don’t like it, don’t use it’ applies. Will try it for a while and see how I like it. While many claim that runners are crazy, and I can’t deny it, at least there seems to be research evidence at least they aren’t stupid. According to research on The Conversation, the physical benefits of running can actually make you smarter. While intense exercise will create brain cells, they are basically stem cells waiting to be put to use. Exercise doesn’t create new knowledge; rather, it gives you the mental equivalent of a sharpened pencil and clean sheet of paper. It prepares you for learning, but you have to actively do some learning yourself, too. Integrating exercise into your working or studying day would seem like a sensible option, if this particular benefit is of interest to you. Well, I haven’t heard any evidence to say it’s not good for you, unless you go to extremes and injure yourself, so I’ll keep getting out of bed and putting one foot in front of another. Tuesday 6am and about 30 keen souls gather at the designated location. Dividing into groups of fast, intermediate, and well, slow, a leader for each subdivision starts off the runners, who don’t know each other and haven’t run together before. After a 4km warm up, the target is to do intervals. A manageable 30 second sprint, the 30 seconds of recovery jogging. Increase to 60, then 90 seconds of sprinting and recovering. All the way up to 2 minutes of fast paced running and then slowing down to jog. Repeat. Repeat. Having mainly just done consistent running, I’m not used this style, but can appreciate the benefits. It seems my pace places me somewhere in between the intermediate and slow group, so I end up doing the distance solo, using my watch as timekeeper to start and stop each interval. Eventually we all end up back at the starting point and after brief acknowledgement, everyone disperses to commence the rest of their day. 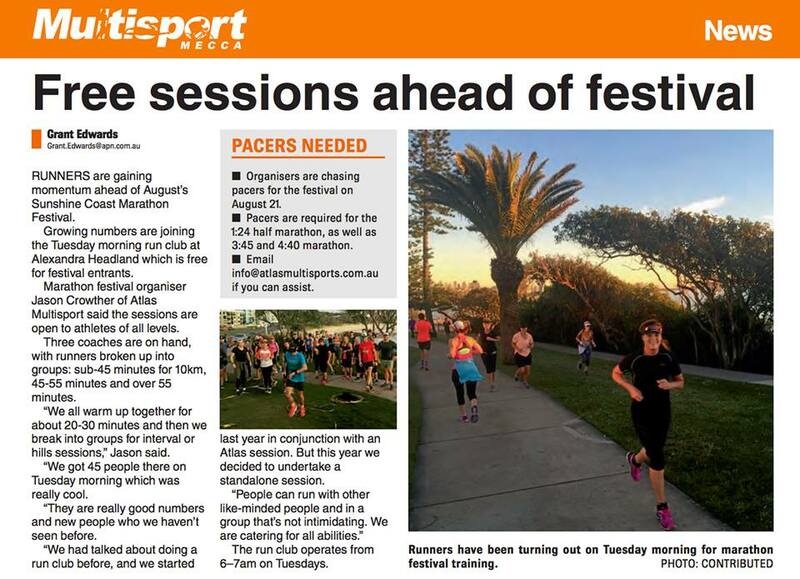 More running talk, with an article about the increasing popularity of running on the academic based news site The Conversation. The modern concept of ‘running’ as sport/exercise seems to have gained popularity in the 1960s. In rejecting our lethargy, we will continue to look to the easiest, cheapest and most accessible and enjoyable activity that we can. The simplicity of putting on a pair of running shoes and heading out the door at any time certainly makes it convenient. Finding those who share in the running fraternity comes from unexpected places. The other day as my son’s friend’s parents dropped off their child, they spotted my Hoka running shoes in sitting on the shoe rack inside the garage and sparked off a conversation about running. 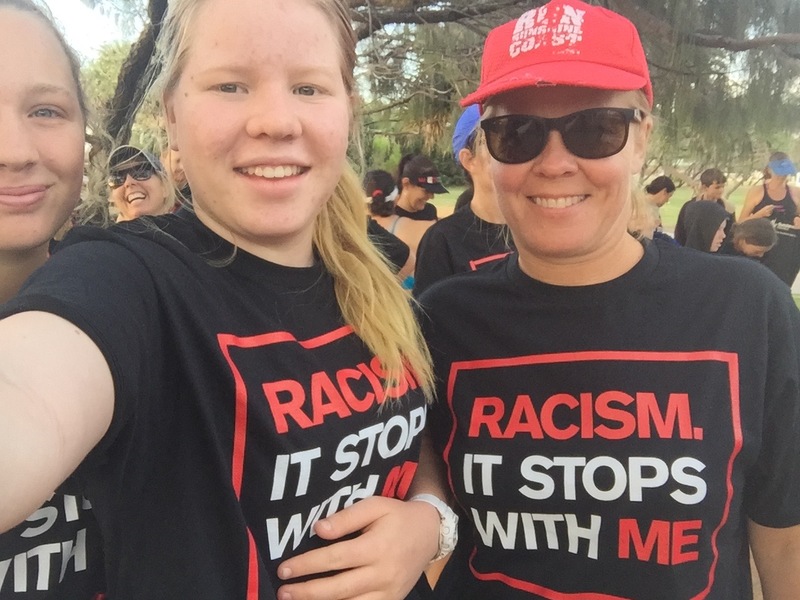 In a wider social benefit, recently Parkrun partnered with the local council to hold a community event – ‘Racism. It stops with me.’ In small ways, running can bring together different groups of people to foster understanding and friendship. In today’s world, we need all the cooperation and respect we can get. As the time to the half-marathon draw nearer, I continue with clocking up the kilometers and increasing speed as best I can. 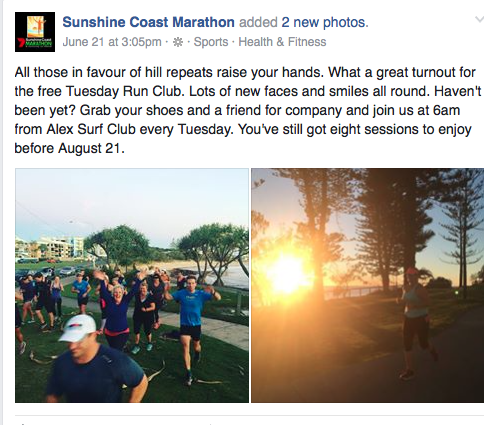 Inspiration comes from many corners, my regular training buddies, other runners, online communities. And I feel proud to be a role model for my teenage kids and inspire them to challenge themselves and reach high and do the best they can. Rain mixes with sweat in the pre-dawn haze. Dampness turns to wet, then turns to soaked, before there’s any chance to really think about it. 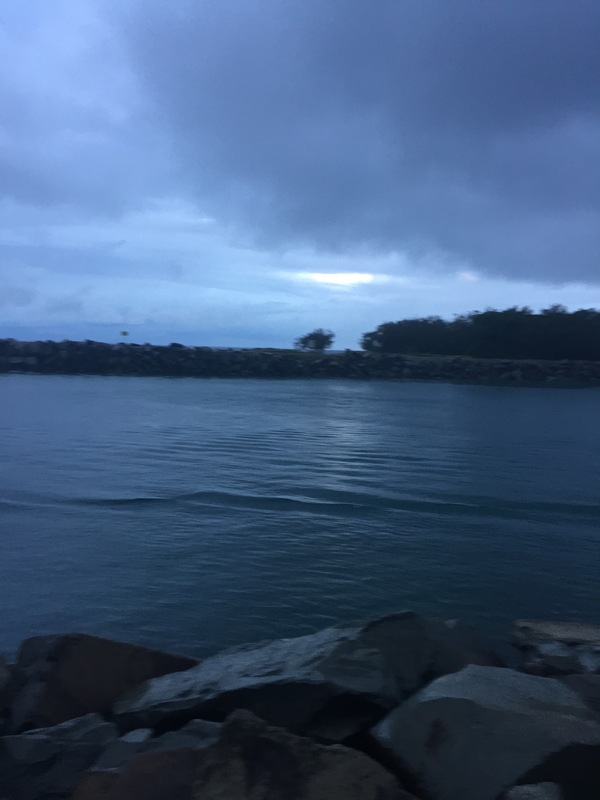 Even though that weather app on my phone predicted 90% rain when I checked the night before, the morning appears starts out overcast but somewhat devoid of rain activity. Hence the prepared rain gear stayed warm and dry in the back of the car. 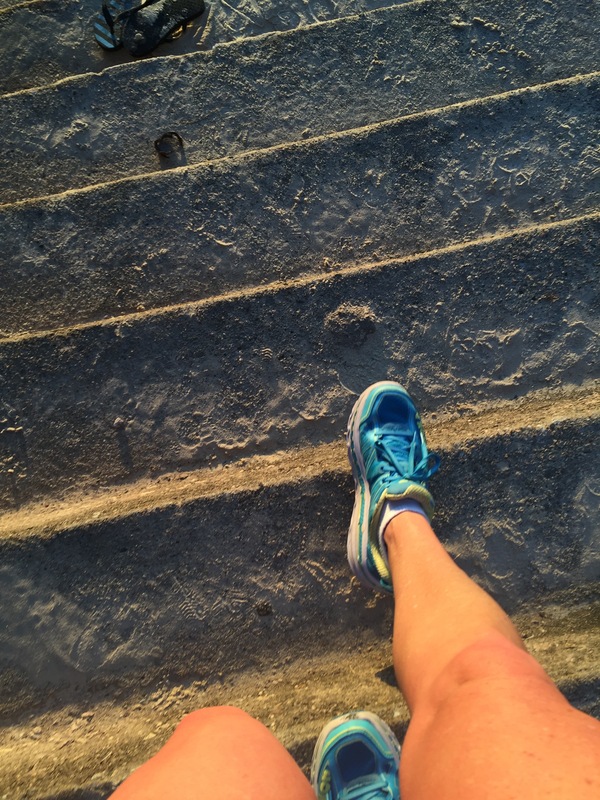 I run because it’s glamorous… NOT! Work commitments beckon Mr J and Ms T is under the weather (literally), hence my running companion today is a mutual running companion, Ms B. Though not as well acquainted, easy conversation comes as the pavement rolls underfoot. 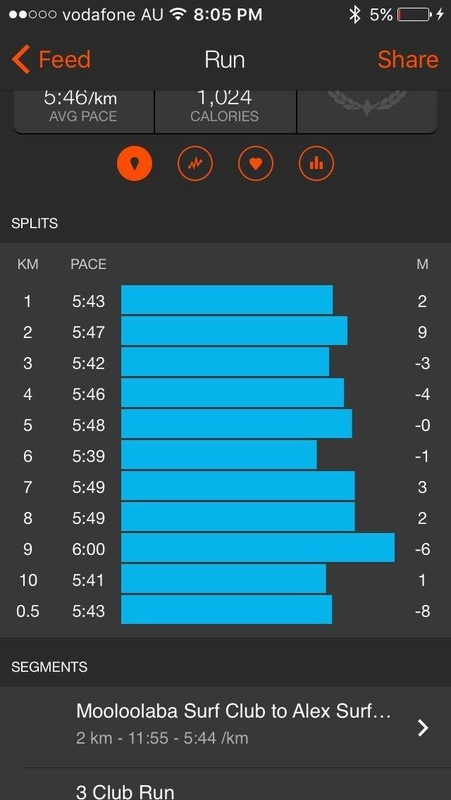 Nominally we have had about the same running pace, though I’m pleasantly surprised that just these last couple months of longer and somewhat faster pace have increased my pace. Other little benefits include adjusting my watch band tighter and clothes fitting looser. My appetite also craves more protein, and more food overall. 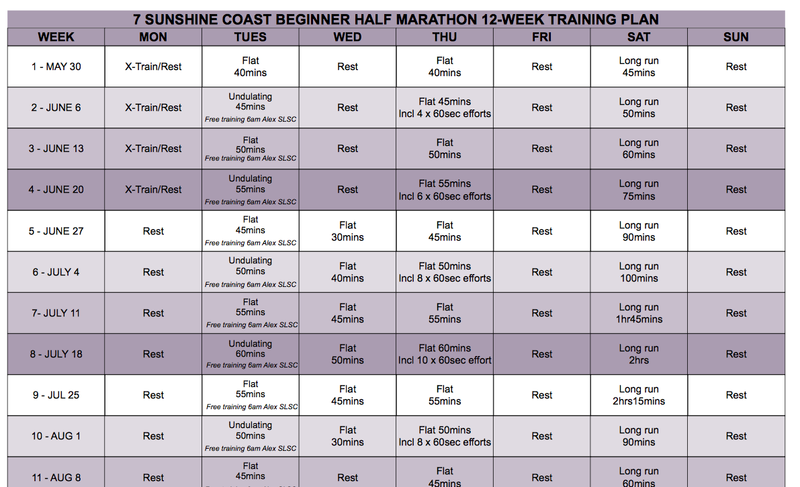 Reminders come through that the half marathon at the Sunshine Coast marathon festival (the main goal of this training regime) is now at the 12-week countdown stage. My eyes glaze over as I attempt to absorb a recommended training program chart. When to run. How long to run. When to rest. What other exercises to do. Various such programs exist – this is just one example. Not a program-follower by nature, I wonder how closely I should follow these recommendations vs doing my own thing. No doubt I will make it there and across the finish line either way, though it could be a matter of how fast I get there and how well I recover afterwards. Already I’m pleased with the progress I’m making in overall fitness levels, pace and strength. Another 12 weeks of training – let’s see what it take me!